The PlayStation® VR game "Summer Lesson" Illustration Contest was jointly hosted with BANDAI NAMCO Entertainment Inc.
CELSYS, in collaboration with BANDAI NAMCO Entertainment Inc., launched the "Summer Lesson Illustration Contest" from June 27, 2017, featuring the PlayStation® VR game "Summer Lesson".The contest gathered a total of 1089 entries from Japan and around the world - the highest total number ever for all the contests held by CELSYS until now. 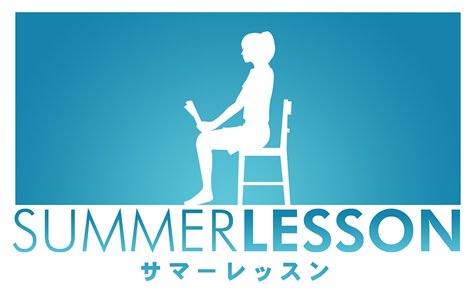 "Summer Lesson" Illustration Contest *The contest has already ended. The contest called for artworks created under the theme "Communication" with regards to "Miyamoto Hikari" and "Allison Snow", who are the featured characters in "Summer Lesson". "Summer Lesson" uses the technology of VR and we were able to realize the experience of "Having a character in front of your eyes and interacting with them." It's a contest based on this experience. This type of experience is conveyed by actually playing the game, so it is something that is hard to explain to people who haven't played it. We have long since thought about, how to actually express this part that is so hard to convey. So we thought about asking all the artists out there, to express in an illustration or a manga, what the feeling is like when meeting a character in VR, talking to and having an exchange with them and what they feel doing so, while consulting with CELSYS on the contest efforts. There were 856 entries reached us from around the world. The prized artworks can be found here. Further, 232 entries from with in Japan. She really is right in front of you. VR makes it possible to realize an unprecedented communication experience. You really think that these girls are right in front of you. Why not join this experience? A modern day school girl who lives in a beach town. She is a bright and optimistic young lady. Because of her friendly nature, she spent all of her time either in after school activities or with her friends. Although this was her first time to have a tutor, she decided to make the best of the situation and began to study with the tutor for the test next week. A clear blue summer sky at the sea, nature, spreading in a garden and at the edge of an old private house, setting the stage for you to feel relaxed like during a summer holiday. Forget your busy everyday life, while spending your time talking to her in a gentle manner... This VR content lets you experience a sense of refreshment.